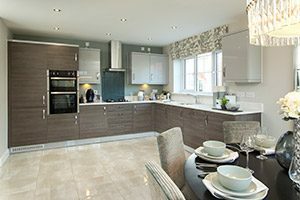 Leading East Midlands Home Builder Rippon Homes has now opened its beautiful Windsor show home at Cavendish Gardens in Tibshelf, Derbyshire. taking the best of modern living trends and marrying them with a traditional home concept. Downstairs, the four-bedroom home also offers a generous living area with French doors opening to the rear fenced and turfed garden, as well as a utility room. 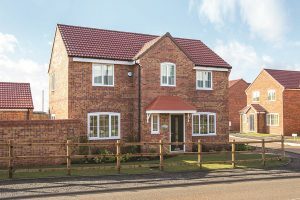 The development, located off Doe Hill Lane, features a mix of 57 three and four bedroom homes, perfect for families and young professionals. Off the gallery landing on the first floor are four bedrooms and a family bathroom, with an ensuite to the master bedroom. Situated in the friendly village of Tibshelf, Cavendish Gardens has good transport links to Derby, Sheffield and Nottingham, all with mainline rail stations. The village has every amenity, including shops, pubs and a doctor’s surgery, an outstanding primary school and newly built community school. Nearby is the Five Pits Trail for walkers, fishing ponds, a cricket pitch and a golf course. Joanne Shaw, Sales and Marketing Manager at Rippon Homes said: “The Windsor is perfect for expanding families or those looking to settle. Rippon Homes can help homebuyers make a smooth move with the Help to Buy and Sales Assist schemes. The Government backed Help to Buy scheme allows homebuyers to invest in a new home under the value of £600,000 with a 5% deposit and 75% mortgage, the final 20% being made up by an equity loan provided by the Government. 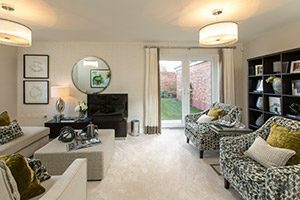 Rippon Homes’ Sales Assist scheme enables potential purchasers with an existing property to save money and stress as Rippon Homes will market the property and pay all the agents’ costs.